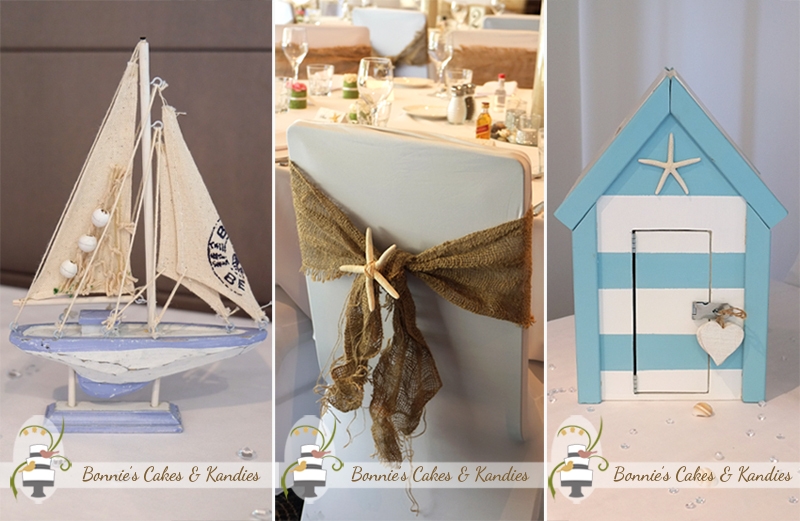 Sand, seashells and fresh flowers – these were the key decorations for this beach-themed wedding cake delivered to the Rainbow Beach Sport & Recreation Club earlier this year. 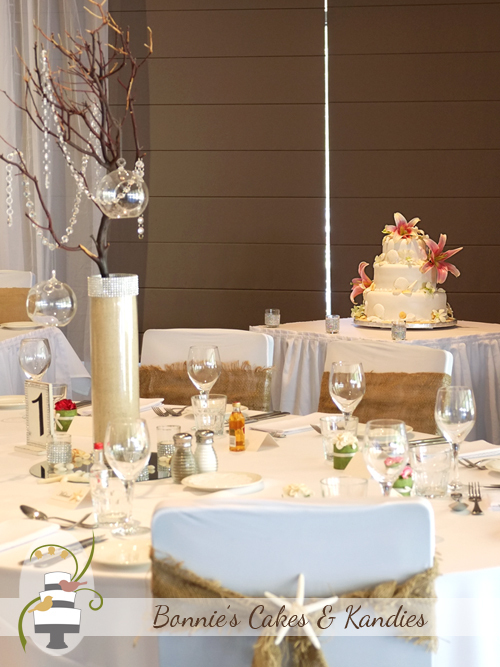 The venue looked beautiful, with decorating by Krystal Rose Event Planning and Mask Events. 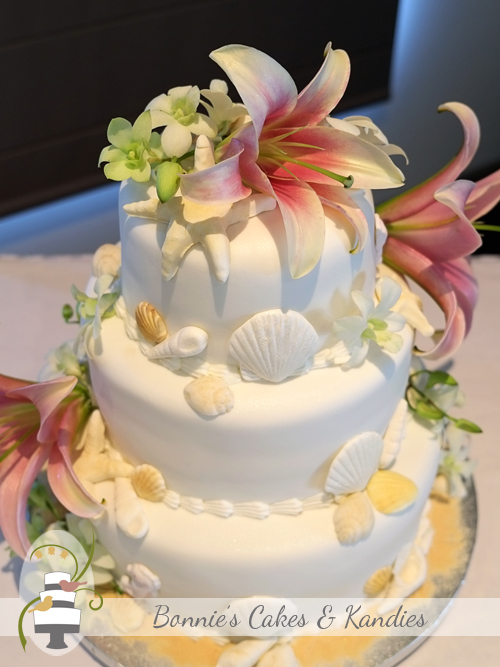 To decorate the cake, a large number of edible seashells and starfish were coloured by hand and then placed around each tier. Edible ‘sand’ around the base of the bottom tier continued the beach theme. Oriental lilies and Singapore orchids, fresh from Karinya Florist, were arranged to complete the design. 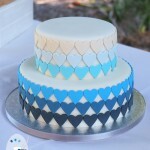 Each tier of the cake was a different flavour with a nice variety of white chocolate mud cake, red velvet cake, and chocolate fudge cake. I finished the white chocolate fondant covering with a light, pearl shimmer to complement the seashells and beach theme. Best wishes to the happy couple, Ben & Sophie! 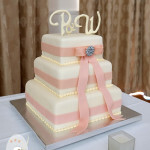 Thanks for choosing Bonnie’s Cakes & Kandies to make your beautiful, beach-themed wedding cake.